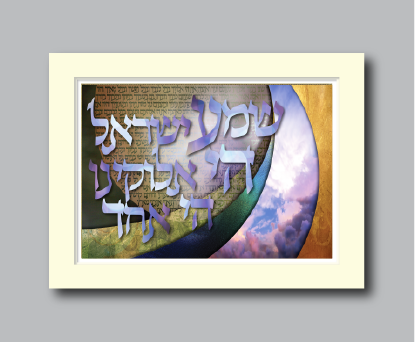 The “Shema” prayer is held by most Jews as one of the most dear and sacred of all prayers. It is a declaration of our belief in one divine source. 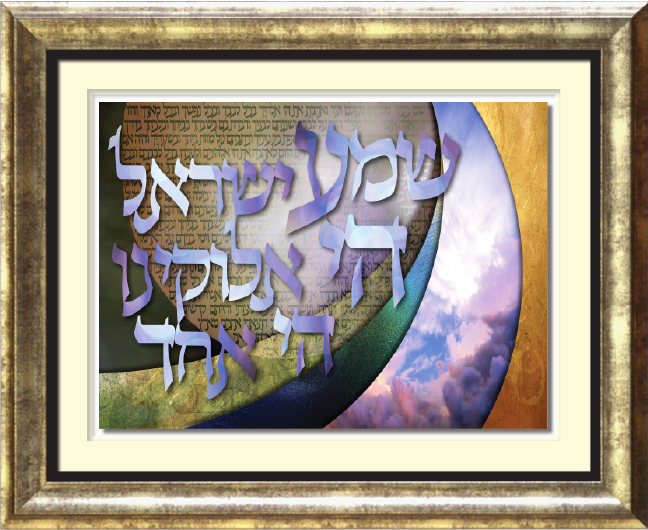 The words translate to “Hear O Israel: the Lord our G-d, the Lord is one”. These words come directly from the Torah in Deuteronomy 6:4. 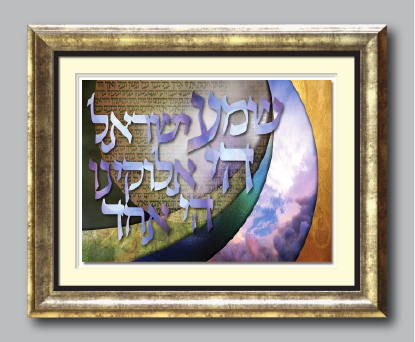 This art piece uses the word of the Shema prayer itself as a the focal point of the design. Layers of of texture, and light flow below, surrounding and suspending the sacred words above. In the background, the remaining words of the prayer float, as though waiting to be spoken. An open area of sky presents us with a portal to greater knowledge and connection to our Creator.